On the infamous track “Night Crawler,” off 1990’s Painkiller, the great Judas Priest sang: “Beware the Beast In Black.” Truer words may have never been spoken, as Finland’s newest Power Metal sensation, Beast In Black, christened their thunderous band after this demonic figure. Showcasing influences ranging from Judas Priest to Manowar, Beast In Black – Guitarist Anton Kabanen, Vocalist Yannis Papadopoulos, Guitarist Kasperi Heikkinen, Bassist Mate Molnar, and Drummer Sami Hänninen – released their stunning debut album, Berzerker, in November of 2017. As one of the best Power Metal debuts in a while, Berzerker was packed with nothing short of head-pounding, well-written, seething Metal. In fact, Berzerker put Beast In Black on the map, reaching No. 7 on the Finnish Album charts and even charted in several countries including Switzerland, Germany, and the United Kingdom. Bringing this well-oiled machine to new audiences, Beast In Black spent a lot of time touring in 2018, especially with notable acts like Nightwish. 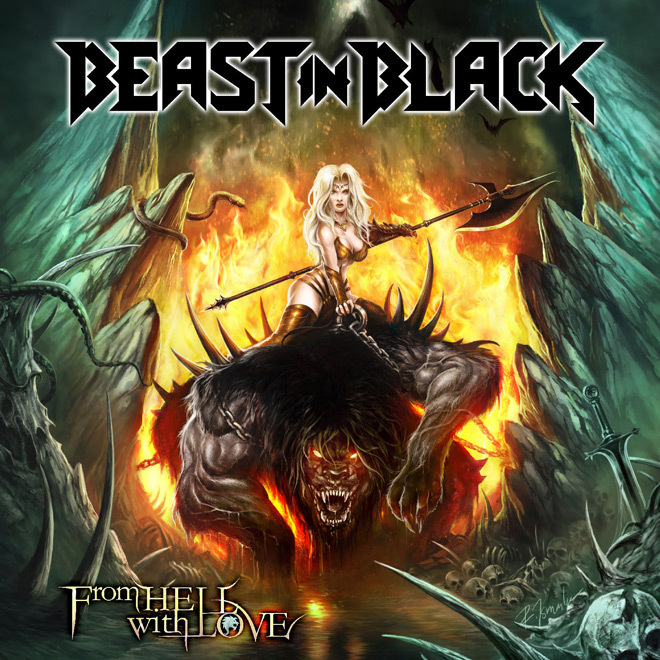 Just over a year later, Beast In Black return with their highly anticipated sophomore LP, From Hell With Love, to be released on Friday, February 8, 2019 through Nuclear Blast Records. 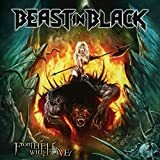 As the band welcomes new Drummer Atte Palokangas, Beast In Black’s From Hell With Love drops eleven brand new tracks of synth-oriented Power Metal. As Berzerker held a bit of an even song choice between synth-laden Power Metal (“Born Again”) and straight up brutal guitar pieces (“Zodd The Immortal”), From Hell With Love steers more in the synth-heavy direction. An exciting way to start, From Hell With Love begins with “Cry Out For A Hero.” Saving the day, Beast In Black open their second album with a majestic symphony of keyboards, vivid Metal guitar, and raspy vocals from their super talented front-man. On “From Hell With Love,” the title cut kicks-off with some clean new wave synth, wildly instilled with Symphonic Metal, and a big chorus. Then, we have the album’s lead single, “Sweet True Lies.” With a video that was released back in late November 2018, this cut rocks like 1980s Glam Metal but strikes with the large chorus grandiosity of modern Power Metal all while speaking of how love can truly be blind. Thereafter, fans looking for a little rage will be pleased with “Repentless” and its pulsating fortitude which boils to an aggressive and worshipping context. In dramatic fashion, “Die By The Blade” speaks fondly of never-ending love and hate before “Oceandeep” reveals a mystical ballad of flute and acoustic guitar. Soaring, “Unlimited Sin” and “True Believer” make way for the scathing and stout Metal tones inside “This Is War.” In a perfect blend of Power Metal’s best elements, “Heart Of Steel” ushers in one more shot of pure Symphonic Power Metal called “No Surrender.” A great way to close out, this tune charges in with a forceful bridge leading into a guitar solo that burns. Forking over the band’s second full length album, Beast In Black once again deliver the goods with From Hell With Love. As stated, From Hell With Love offers more synth heavy tracks than its predecessor. Nonetheless, fans of Beast In Black will love the album’s radiant melodies, vitalizing guitar, and messages of profound exhalation. If you are a fan of Beast In Black, or are just discovering the band for the first time, you do not want to miss out on From Hell With Love. 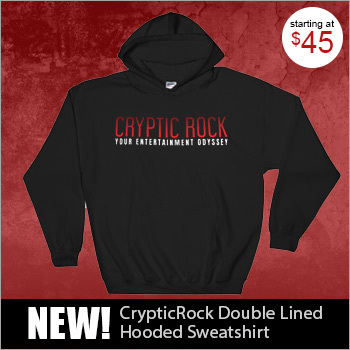 A breathe of fresh air, Cryptic Rock gives From Hell With Love 4.5 out of 5 stars. With '80s Metal and '90s Punk Rock flowing through his veins, Vito also enjoys many a variety of other genres. Graduating with a Bachelor’s in Music Business, he loves going to as many live shows as possible and experiencing the music first hand.